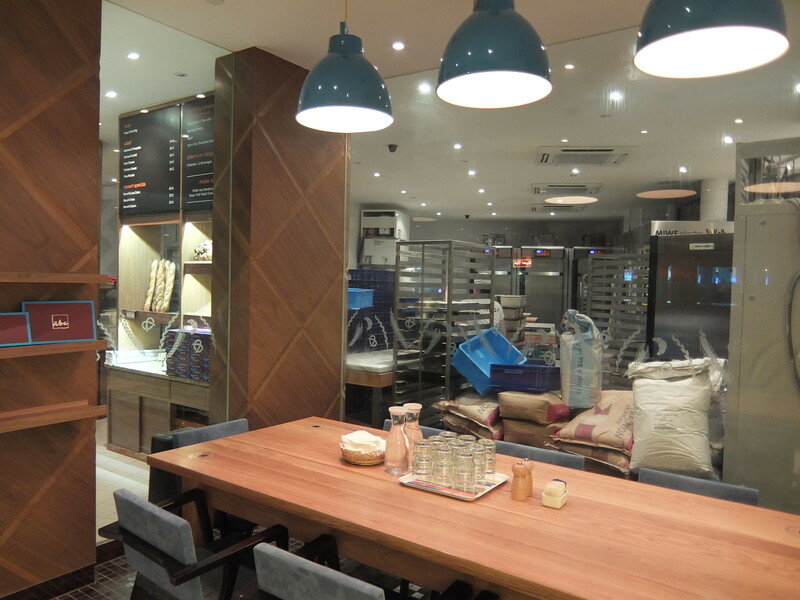 Artisan Boulangerie Co., (ABC to most), is a homegrown bakery and café with European influences. Helmed by Award-winning Executive Chef Eran Mayer, formally trained at prestigious French culinary institutes, who dedicates himself to delivering to his customers high quality artisan products made with all natural ingredients containing no preservatives, flavour enhancers, colouring or palm oil. Within a year, ABC has already won itself a regular fan base. Conjunction with its first anniversary, it opened two more new outlets at 112 Katong and Chevron House. 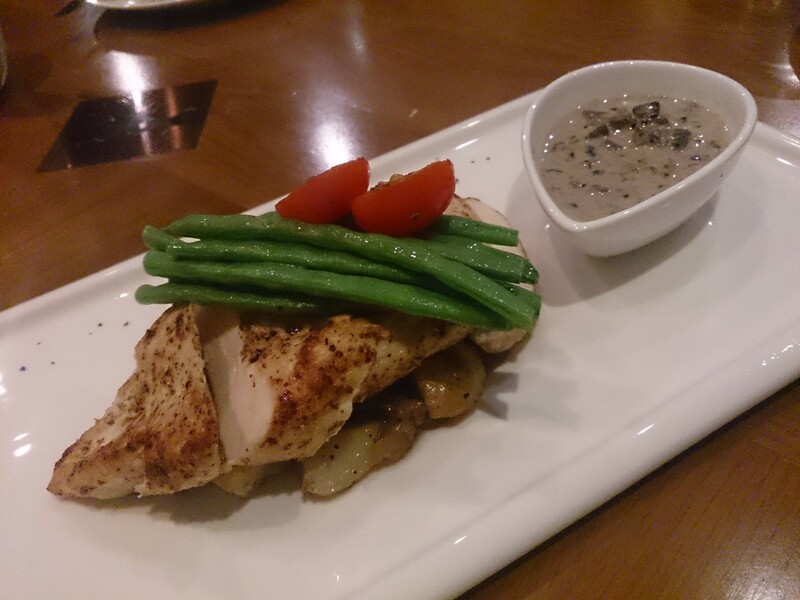 It also added a new enticing menu items to meet its customers' appetite. 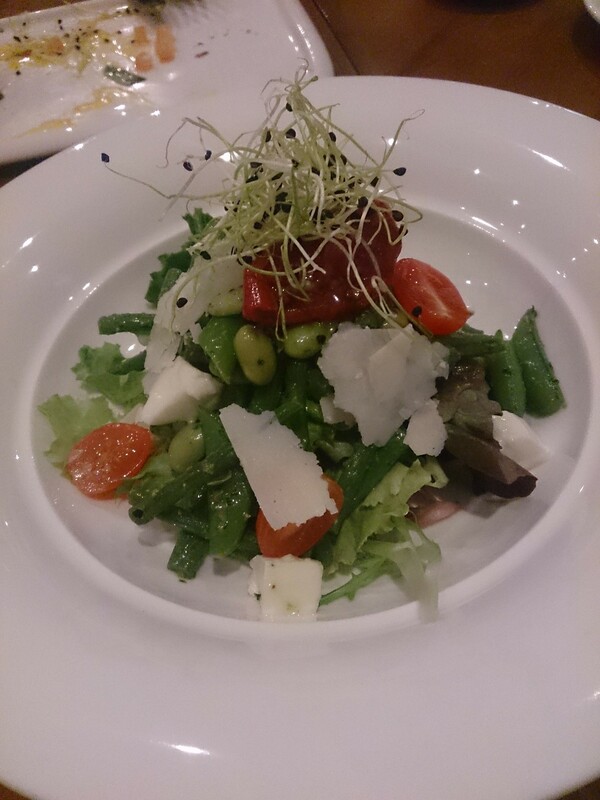 Tonight, we visited their flagship store at Killiney Road to have a try at its new menu. Since we were here, of course we must try their breads! 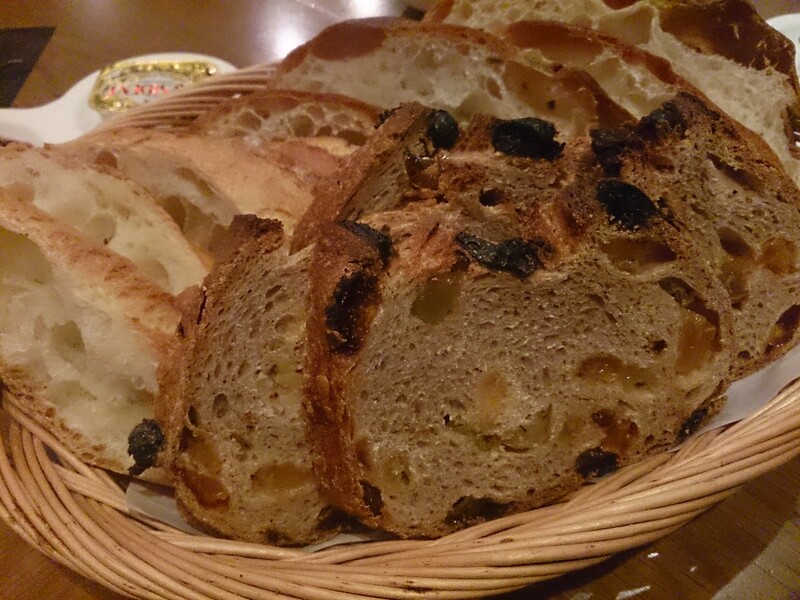 We started off the evening with slices of Olive Bread, Raisin Bread and Baguette. Light and tasty, I had to stop myself from reaching for more. Artisanal Almond Granola ($12++) is a new brunch item which soon became rather popular. 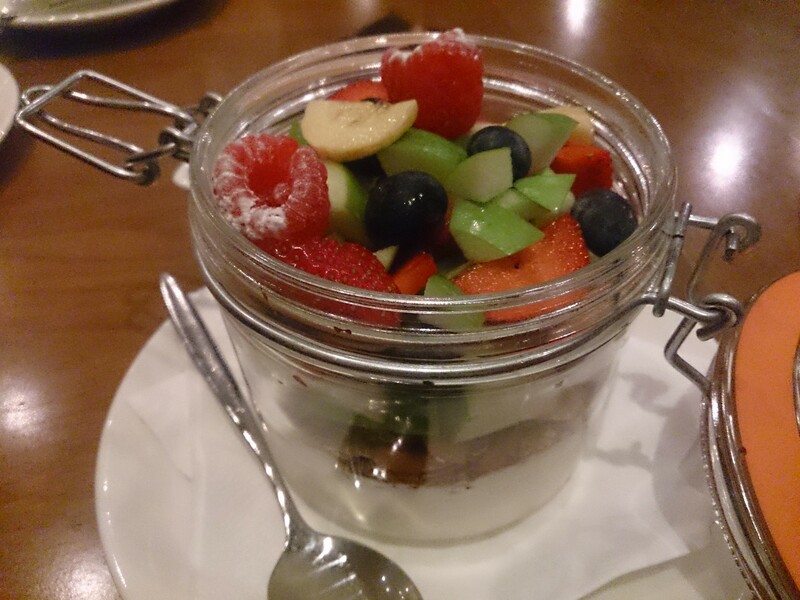 Nestled in a jar, the bottom was pebbled with its house blend Granola (organic oats, toasted almonds, sesame, sunflower seeds, honey & cinnamon), followed by plain yogurt topped with freshly cut fruits. You may have tasted granolas items that are overly sweetened and artificially flavoured. But this, tasted like Spring. The granolas itself was very lightly sweetened with honey. Together with the yogurt and fruits, every bite was crisp, nutty, sweet and soury. Eggs Benedict ($19.5++). Made using their very own butter brioche, this classic item is definitely a crowd pleaser. I like the chewiness of the Serrano ham. 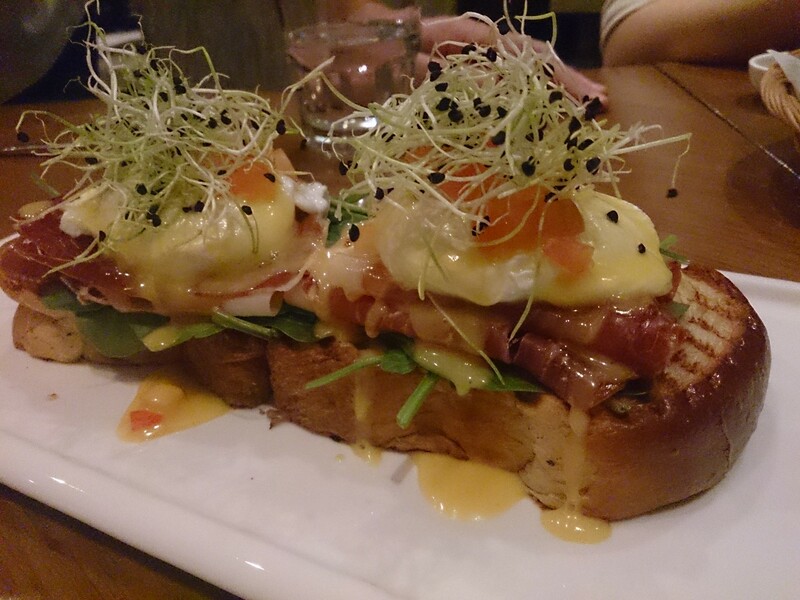 It was quite salty at certain bites but putting it together with the toast and the eggs strikes a fine balance. Miso Salmon Fillet ($22++). Topped on linguine, the fillet was moist and gave off a faint aroma of the sweet miso. 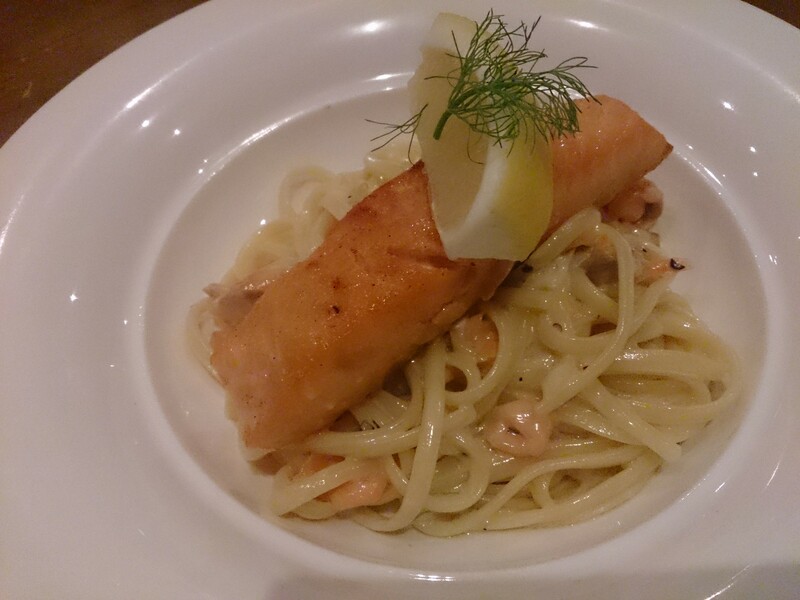 The linguine was evenly coated with a creamy herbed smoke salmon sauce which I really like. It was flavourful yet not empowering. However, I feel slightly more herbs and miso would have added more layers of taste to this dish. I appreciate the simplicity and organicity of the subsequent two dishes, Roast Chicken Breast ($19++) and Garden Pesto ($14++) . I felt the breast meat was quite well seasoned with wholegrain mustard which was complemented by the sweetness of the caramelised onions. The meat was slightly dry but the mushroom sauce helped to cream it up slightly. To some, the Garden Pesto (fine beans, sugar snap peas, mixed greens, edamame, sundried tomatoes, fresh mozzarella with homemade rocket pesto) may be a bit too "green". But personally I enjoyed it. I like the natural sweetness of the greens and how the chef made use of the ingredients of different taste profiles such as sundried tomatoes and mozzarella to build the layers of flavour in this simple dish. To end off, we have three desserts. 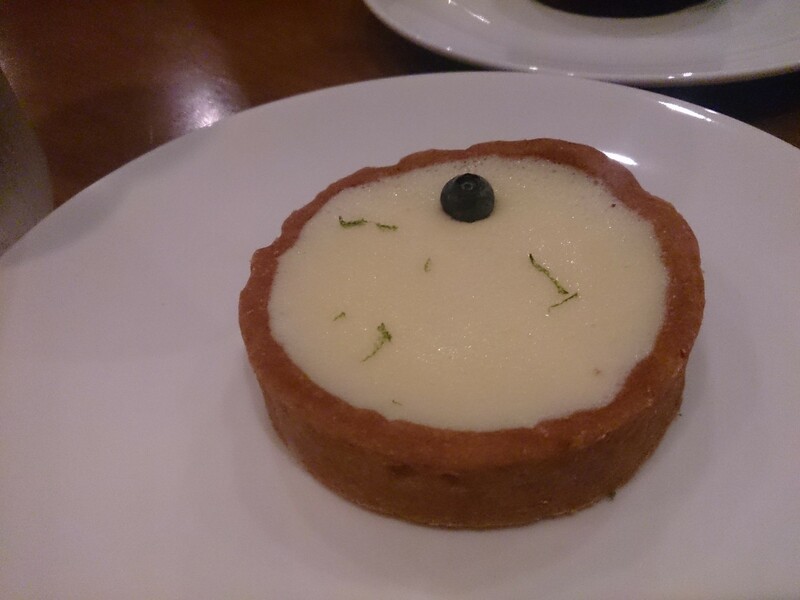 Lemon Tart ($6++), Chocolate Lava Cake ($8++) and Crème Brulee ($10++). 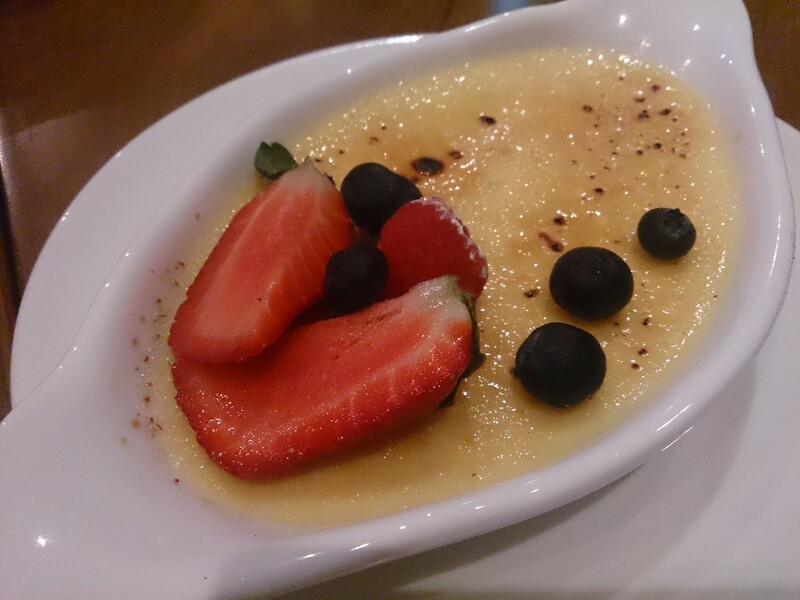 My favourite was Crème brûlée, which I feel is a must-try. The crisp caramelised sugar cracked at the tip of my spoon. The custard was soft but not runny. What I appreciate is the thickness of the custard layer. Every spoonful was matched with the right amount of sugar crust. Seeing all the vanilla seeds at the bottom of the ramekin affirms the Chef’s philosophy in using only good quality ingredients. 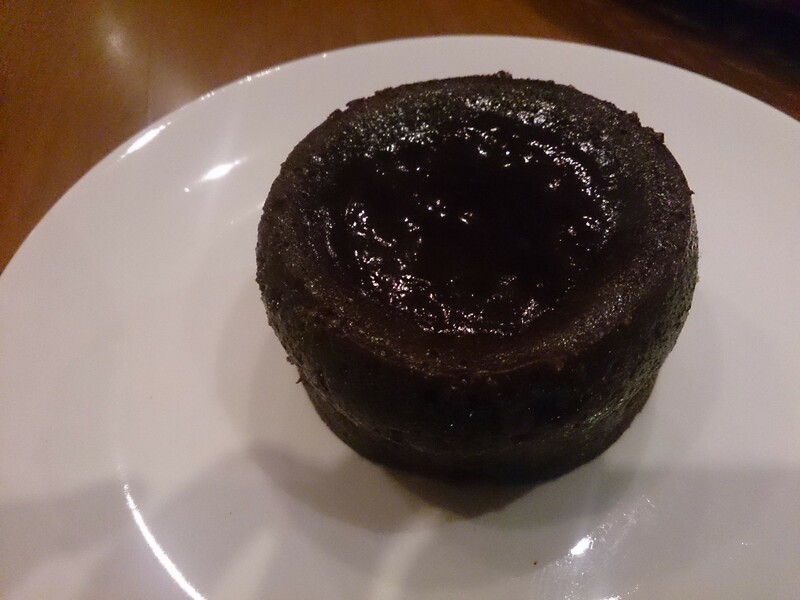 It is a real comforting dessert to end the night. Little did we know that there was a little surprise installed for us tonight. Chef invited us to his holy ground, the place where he works his magic. To ensure that his customers get the freshest in the morning, his kitchen runs 24 hours. No big fanciful equipment, only the good old traditional ovens and chillers. All his imported French flours have their respective "ID numbers" to assure their authenticity. Amazing isn't it? Like what he said, apart from the basic ingredients of making breads - flour, water, yeast, the other two special ones are "time" and "love". (He said this with his fist to his heart). The Chef's passion gives me a whole new level of appreciation towards ABC's breads and pastries. With such a strong belief and dedication towards delivering fresh and quality food to its customers, it's no surprise to see it succeeding within a short period of time. 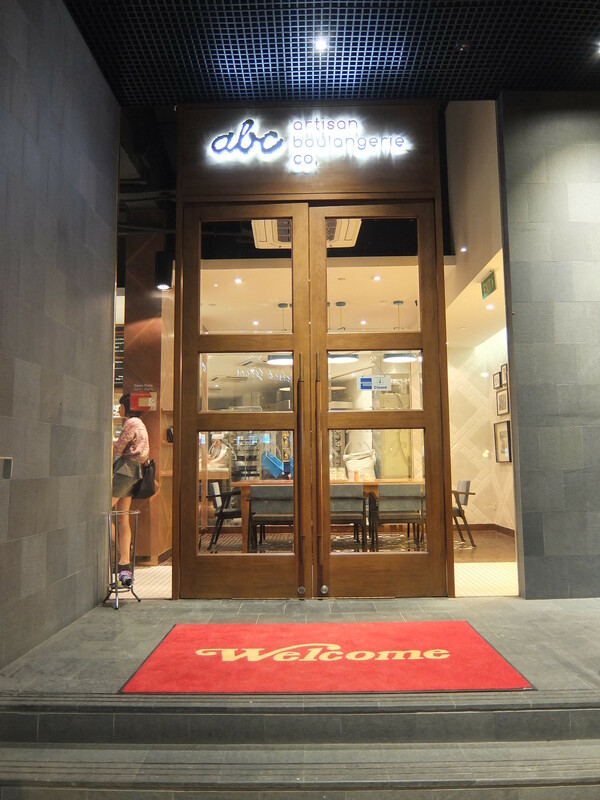 ABC also serves its signature dishes at Asia Square, VivoCity and Great World City. But do also try some of its hot items such as croissants. Made with premium European butter, I'm sure they will be another comfort food to ward off any blues.